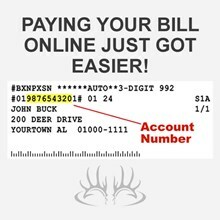 The folks at Buckmasters are proud to bring you RACK magazine, where the stories behind the world's biggest white-tailed bucks are told by the hunters themselves! Exciting trophy hunting articles featuring other big game species will treat you to adventures about everything from antelope to alligators. 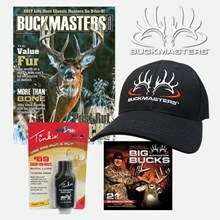 You won't find RACK on the newsstand, so order today. 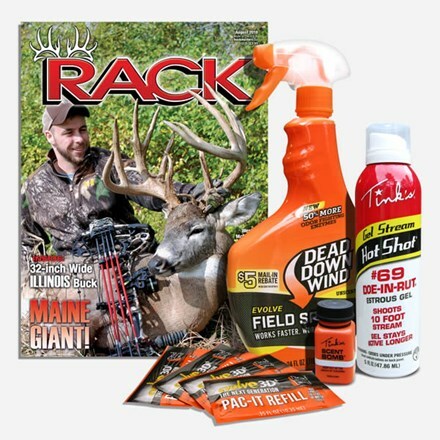 Subscribe for three years and you will receive 30 issues of RACK and 1 Hot Shot Gel Stream #69 Doe-in-rut estrous Gel, 1 Tinks Scent Bomb and 1 Empty Dead Down Wind spray bottle with 4 packages refill.